Pre-conference sessions are open to registered conference participants. Come early and join us! This workshop provides participants with a background in the principles, development, metric visualization, and use of intelligent feedback for providers and service managers. The majority of U.S. states maintain administrative databases to collect information on the entry, movement, and exits of youth in the foster care system, however states and jurisdiction struggle with methods to provide this information in the form of actionable feedback to caseworkers and practitioners. As a result, human service professionals are forced to make judgments based on anecdotal or incomplete information. In the past decade, numerous open source tools and computational methods have become available to make analyzing and visualizing quantitative data easy and inexpensive. To help promote the use of administrative data to inform child welfare programming, this workshop will provide an overview and demonstration of a Feedback Improvement System (FIS) which uses web-based feedback and advanced data visualization techniques to give child-welfare practitioners ongoing information about the outcomes of youth in their care. The workshop will provide an overview of the theoretical rationale for the system, as well as showing participants the specific components required to implement a similar system in for their organizational context. Michael Tanana is currently a Research Assistant Professor at the University of Utah, the Chief Technology Officer for Lyssn.io. Dr. Tanana’s research focuses on statistical analysis for psychology and public health, applied machine learning for the behavioral sciences, and cloud-based software engineering. He has worked as a statistical consultant and methodologist to analyze real world implementations of interventions in psychology, child-welfare, criminal justice and neurology. In the field of child-welfare, Dr. Tanana studies methods for quickly processing, analyzing and visualizing outcome data to agencies and providers for the purpose of system improvement. His current University-based research involves applying advances in machine learning methodology to patient-provider interactions in mental health – particularly psychotherapy. 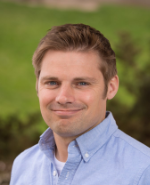 Dr. Tanana received his B.A from Dartmouth College in 2004, his Masters in Statistics for Educational Psychology from the University of Utah in 2010 and his PhD in Educational Psychology in 2017. 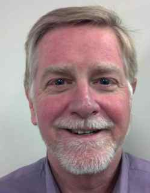 John Fluke is Associate Director for Systems Research and Evaluation at the Kempe Center with joint appointments as a Research Professor in the Department of Pediatrics at the University of Colorado School Of Medicine and the Department of Epidemiology at the Colorado School of Public Health. Dr. Fluke’s research is focused on child protection decision-making and child maltreatment epidemiology. He is known for his innovative and informative research and evaluation work in the areas of child welfare administrative data analysis, workload and costing, and performance and outcome measurement for children and family services. For the US government he has been PI or key staff for research and evaluation projects focused on improving the evidence base for various interventions with the US Health and Human Services Children’s Bureau, the Substance Abuse and Mental Health Services Administration (SAMSHA), the Office of the Assistant Secretary for Planning and Evaluation (ASPE), and with the US Agency for International Development (USAID). He has also worked on projects sponsored by the Annie E. Casey Foundation, the Casey Family Services Foundation, the Edna McConnell Clark Foundation, and program evaluation projects for governmental child welfare agencies such as Colorado, New York City, Texas, Utah, and Washington.